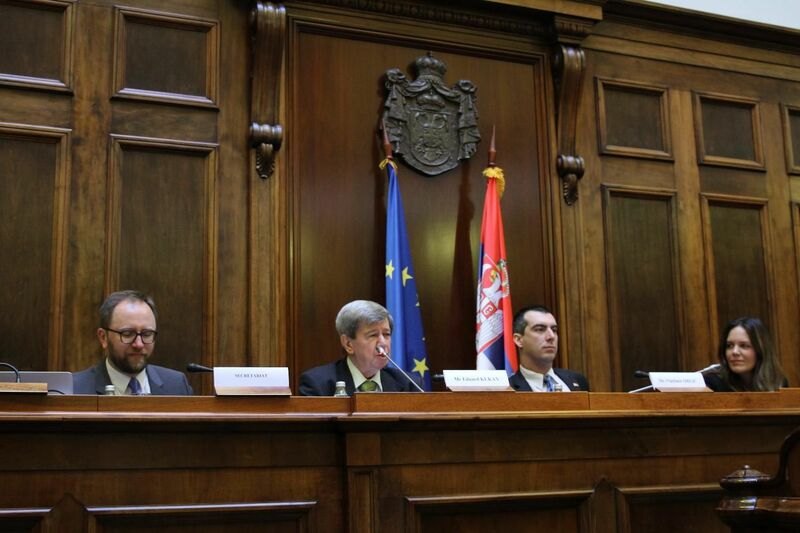 European Union-Serbia Stabilisation and Association Parliamentary Committee adopted recommendations at the seventh meeting in Belgrade, welcoming the opening of 12 negotiating chapters. The Declaration recalls that Serbia had provisionally closed two chapters and reiterated that the country should secure enough human and financial resources, with financial assistance from the EU provided through its pre-accession funds. The Declaration reminds that progress in chapters 23 and 24, as well as the progress regarding the normalisation of relations dealt with by chapters 35, remains essential for the overall dynamic of the negotiating process, in line with the negotiating framework and welcomed the fourth meeting of the EU-Serbia Stabilisation and Association Council. It confirms that Serbia has made positive results in meeting its obligations arising from the SAA, taking into account certain unresolved issues within the SAA, especially the ones dealing with state aid and fiscal discrimination of certain goods, and welcomes a continued Serbia-EC dialogue with a view to fully implementing the SAA, given that it remains a key framework of EU-Serbia trade relations, the Declaration reads. It reiterates the importance of EU-related communication as the Union remains Serbia’s main economic and political partner. It encourages Serbian authorities and the EU Delegation to Serbia to double down their efforts for promotion of European values in public debates, read the Declaration and Recommendations adopted at the meeting held on 20 and 21 December.